Helps protect the heart, blood vessels, brain, retina and other nervous tissues. Co-Q10 plays some valuable and very important roles in the human body. It plays critical roles in energy production, maintenance of cardiovascular function and is a powerful antioxidant. It is required to produce energy by every cell in the human body. As an antioxidant it prevents generation of free radicals and protects the human DNA from oxidative damage. It is of special significance for older people in supporting the normal aging process. It has gained importance for people who take cholesterol drugs (statins) which are known to produce a deficiency of Co Q10 levels by 26-57% causing muscle weakness, lack of energy etc. It supports the body’s normal blood pressure regulating mechanism and helps in the maintenance of healthy blood pressure. 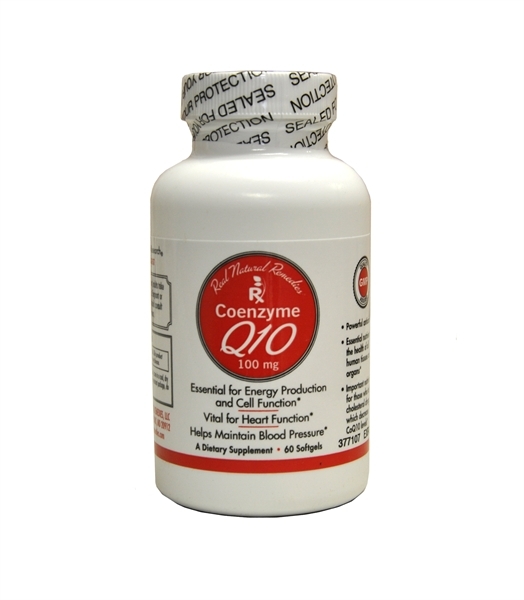 Co-Q10 protects the heart, blood vessels, brain and other nervous tissues including the retina from free radical damage. It is present in higher energy utilization as in the heart, liver, muscles etc. With age our ability to produce adequate amount of Co-Q10 decreases.